A French Late 19th Century Cast Iron Bakers Table. 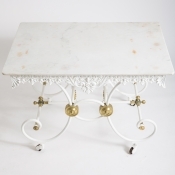 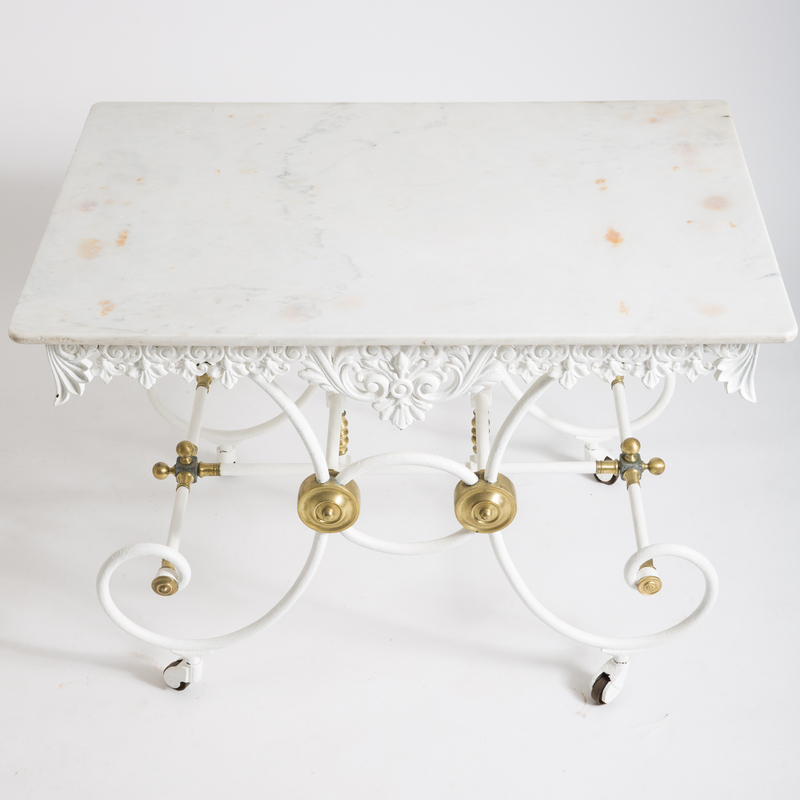 A French late 19th cast iron bakers table with elaborate apron in perfect condition with the original old marble top. 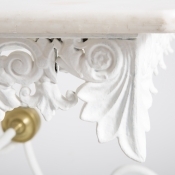 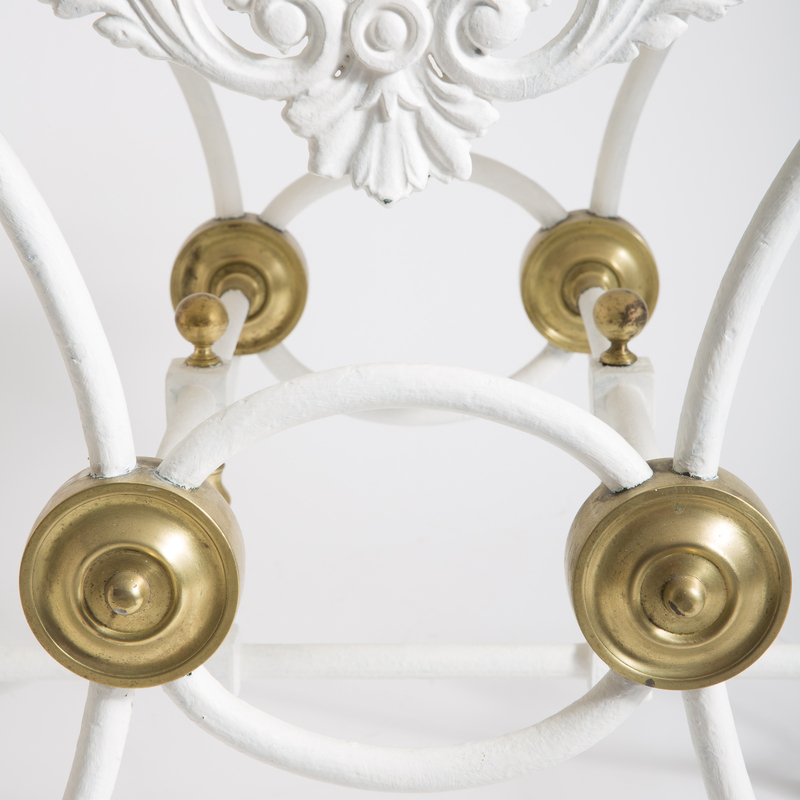 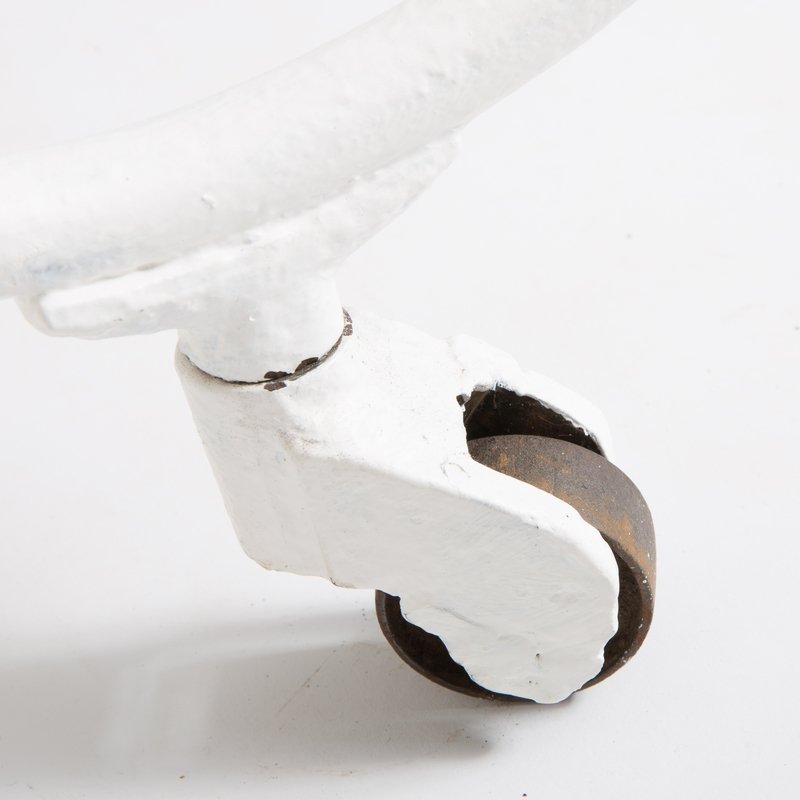 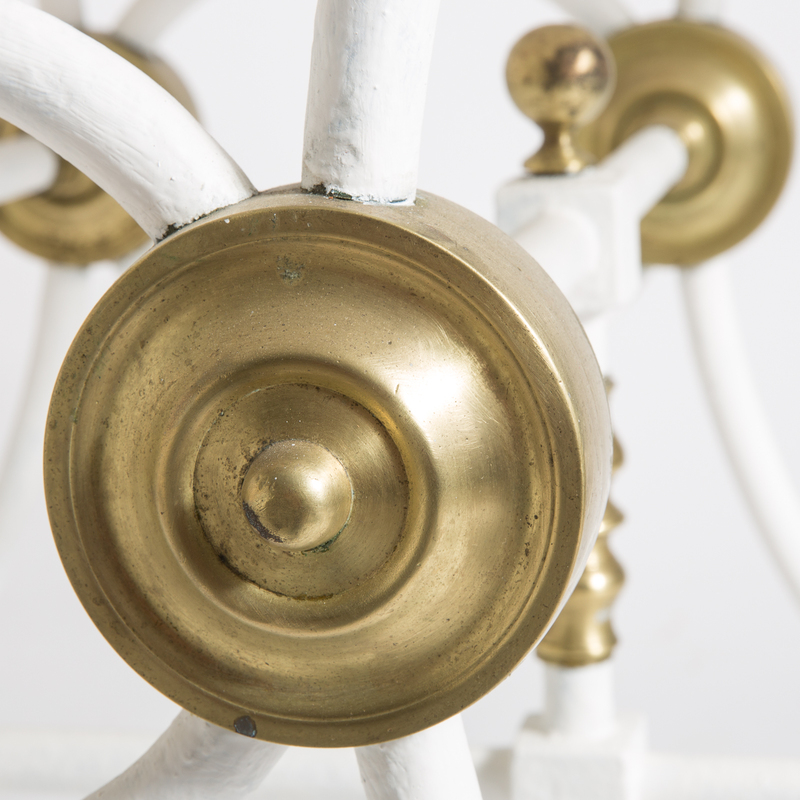 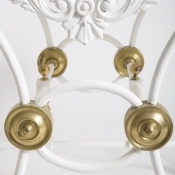 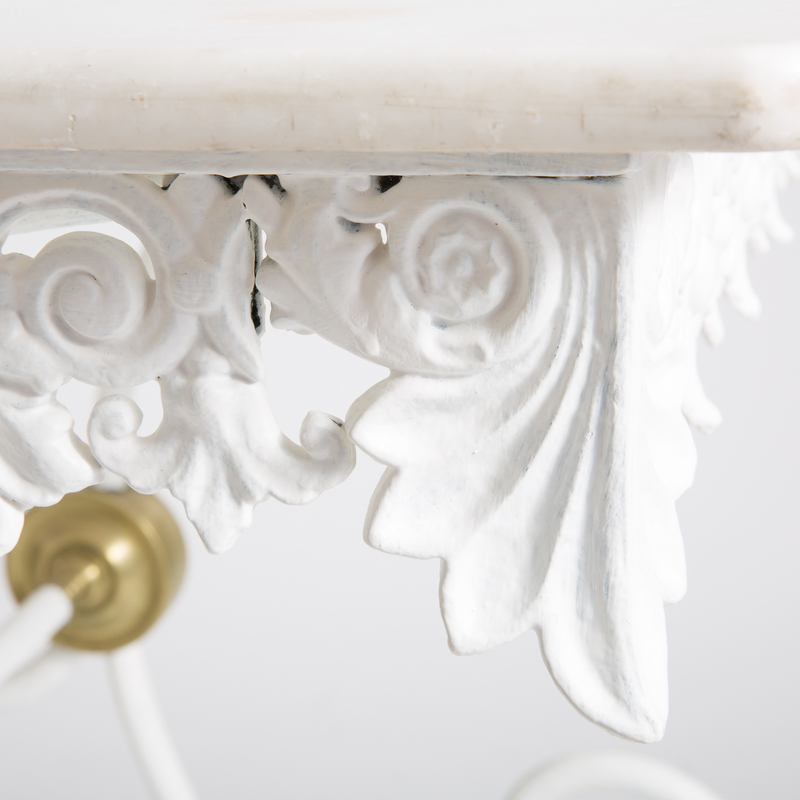 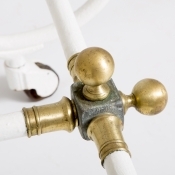 The base has polished brass details and the original wheels. 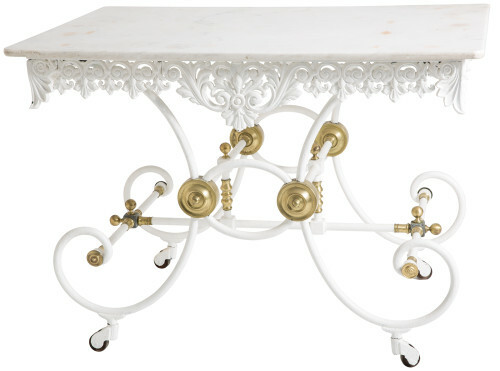 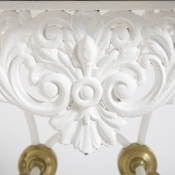 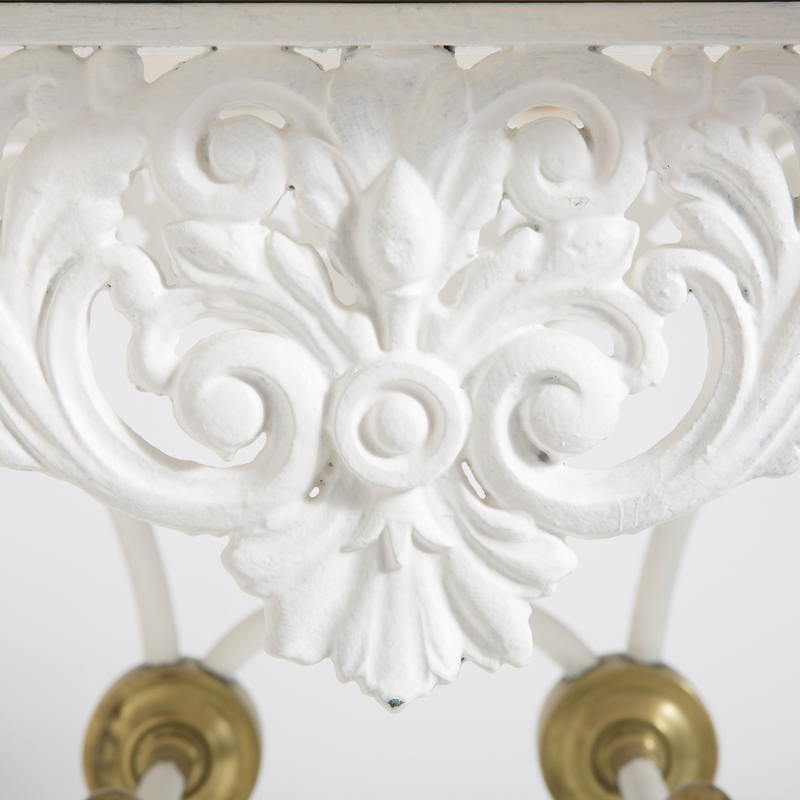 It is a beautiful piece and would make a great kitchen island as it can be viewed from all sides.